Buenos Aires: there is not much I can say about this capital of a nation of contradictions that you haven’t already heard. Buenos Aires is a city of faded elegance teeming with life, perched on the banks of a river which runs straight to the ocean. And it is also one of the places I once called home. Back when I was a fresh faced girl straight from the woods of New England, I decided to spend a year abroad in Buenos Aires, studying Latin American literature, history, and culture, but most of all, to learn Spanish. 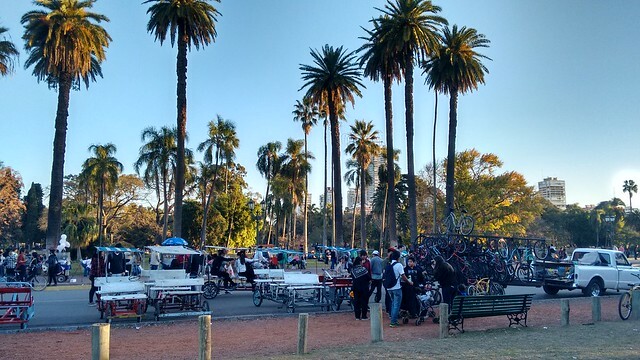 I chose Buenos Aires because I wanted to experience city life, and once I got a taste of its culture, I was hooked. 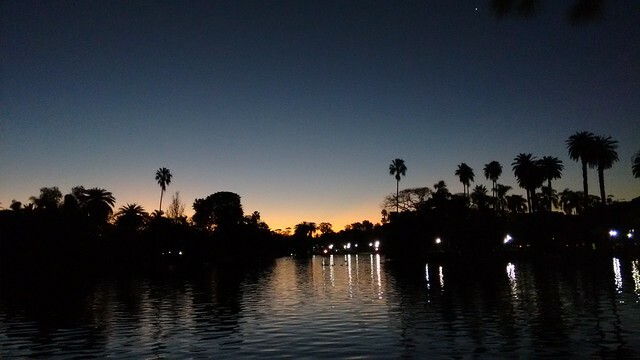 I fell in love with Buenos Aires, and fell hard. I lived in Argentina from mid-2001 to mid-2002, experiencing the ups and downs of its economic crisis in December 2001 and the resulting devaluation of the peso, a decisions whose aftereffects continue to reverberate in the nation’s economy today. I visited the city in 2007, spending two weeks refamiliarizing myself with its streets and trying to gauge the nature of the changes post-crisis. When I went back to Argentina in 2013, I opted not to visit Buenos Aires again, as it was too far from my route north to Peru and Ecuador. 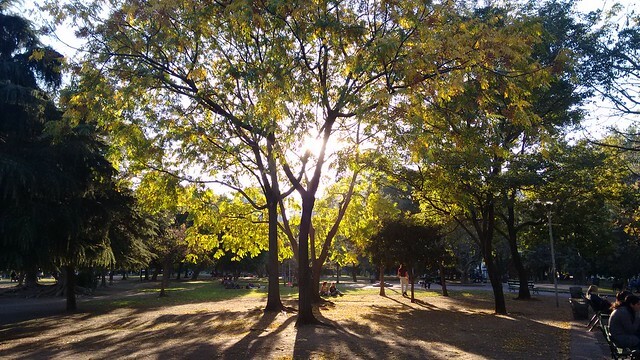 One of the awesome aspects of living in Chile is that I have several friends in Santiago, one of whom is my dear friend Diego, a Buenos Aires native currently living and working in Chile’s capital. 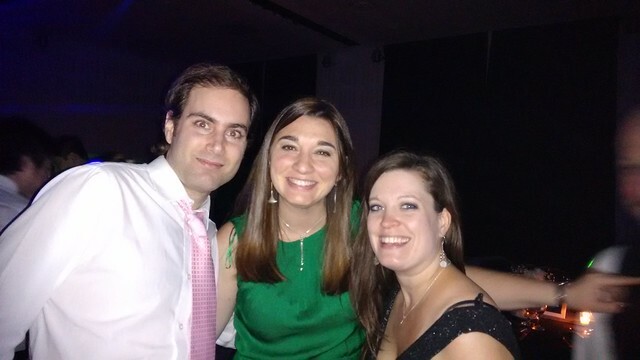 In February, I finally got to meet Diego’s then-fiancee, Alejandra, and they invited me to celebrate their wedding in Buenos Aires this past June. Of course, I said I would be happy to attend and started looking for affordable flights! When I booked my ticket to Buenos Aires, I wrote to the rest of my Argentine friends to schedule some time to hang out. 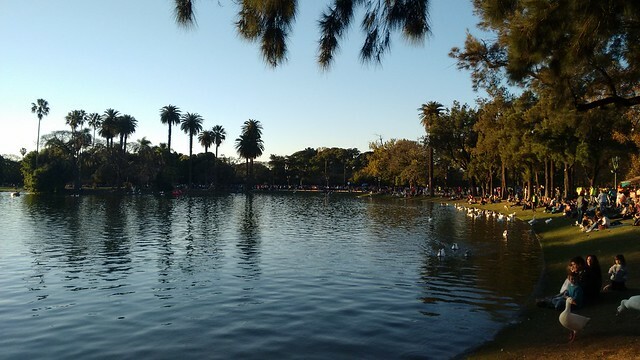 I also made a small bucket list of things I wanted do during my short visit to Buenos Aires, and especially things I wanted to eat! 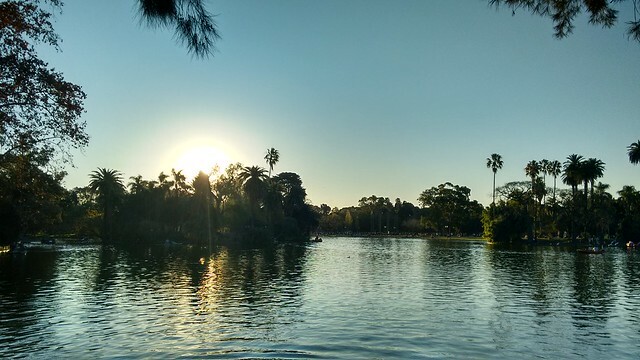 Here is a chronicle of my brief adventures in Buenos Aires, captured on my smartphone. 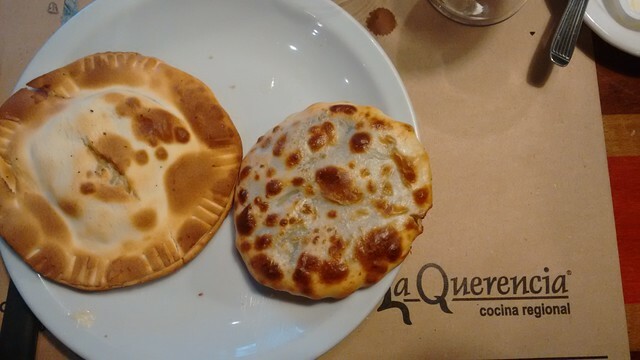 While Chilean empanadas can be delicious, Argentine empanadas are the best. I particularly love humita empanadas with their creamy corn filling and any empanadas featuring leafy greens and herbs. My dear friend Cynthia knew a good place to take me so I could get my fix and also some of my much loved northwest Argentine cuisine, including an actual humita, a corn husk stuffed with the same creamy corn filling. We headed to La Querencia in Recoleta. It was a good place for us to escape from the rainy weather and catch up. 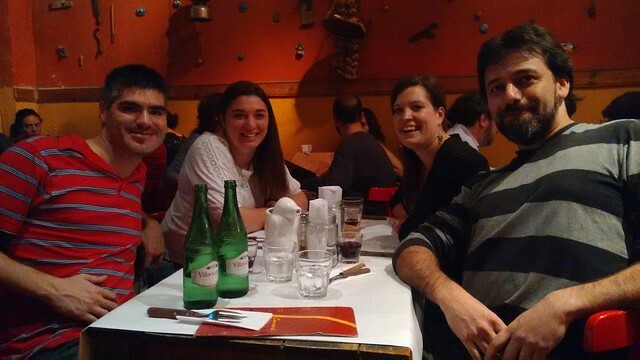 The next night, I met up with another group of friends, whom I met 13 years ago when we were all traveling in Mendoza. 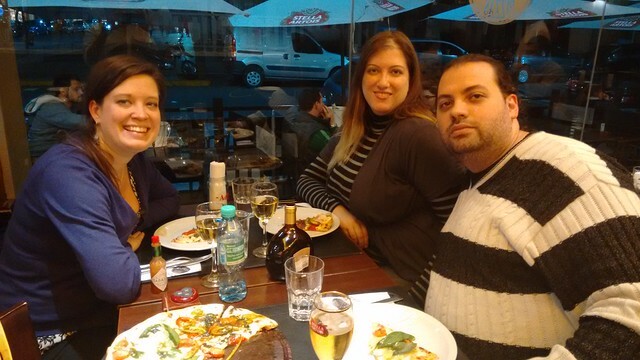 We headed to Cumaná, another restaurant specializing in traditional Argentine cuisine. 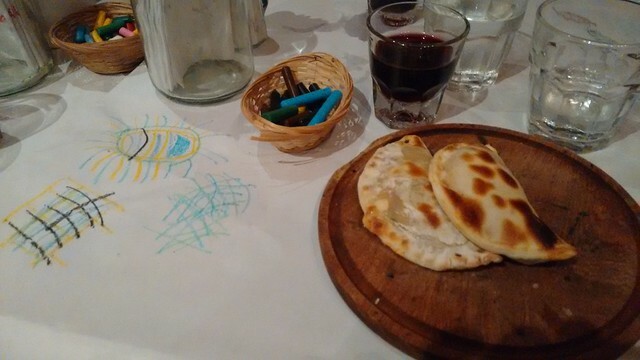 Of course, I decided to take advantage of the opportunity to have more empanadas along with a delicious salad, and we shared the “pinguino,” a penguin-shaped pitcher filled with house wine. We spent hours laughing and catching up, and marveling about the fact that we are still in touch all these years later! Of course, I also had to sample Argentina’s rich helado (ice cream) a few times for old times’ sake. I always have to enjoy chocolate and dulce de leche flavors when in Argentina. The last item on the food list was a delicious Argentine-style pizza. I ended up being super impressed by the impressive flavor combinations, including a pizza featuring the spicy jalapeño. This dinner gave me a chance to get to know Cynthia’s husband Alejandro better and enjoy one more good meal before heading back to Chile. High on the agenda for my short trip was revisiting familiar places and wandering the streets of my old neighborhoods. Cynthia took up the challenge and accompanied me down Avenida Santa Fe over to the heart of Recoleta. 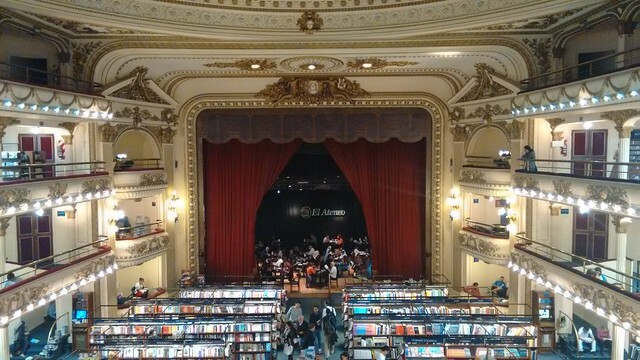 I wanted to stop in at El Ataneo, the theatre-turned-bookstore that represents the well-read, literary culture of this intellectual city. I love browsing there and taking in the attractive architecture. While it was rainy for most of my trip, the sun came out on Sunday afternoon and I took advantage of the pleasant weather to wander through my old neighboorhood in Recoleta, as you see above, down to Plaza Italia and the extensive green parks of the Bosques de Recoleta. Cynthia and Alejandro joined me for a sunset stroll around the lake at the Rosedal, prolonging the relaxation of the afternoon’s slow pace. 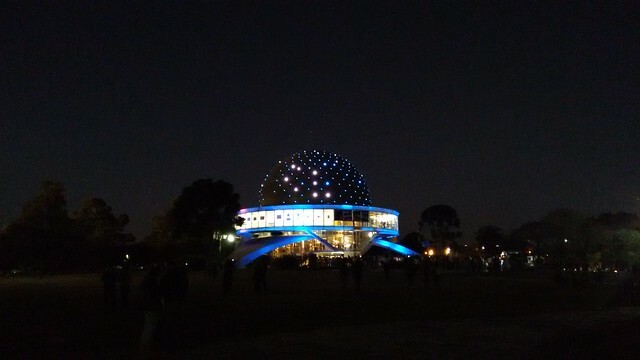 We also headed to the Planetario, which I actually think I had never visited, and I got to see the colorful light show on the dome of this structure. 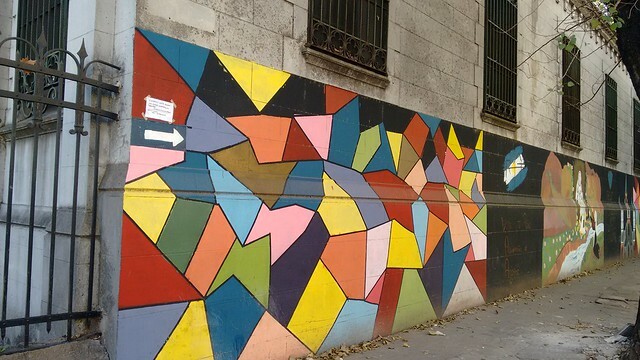 On my last day in Argentina, I headed to Palermo Viejo to take in the murals and graffiti that pop up all along these residential blocks and to do a little browsing and shopping. 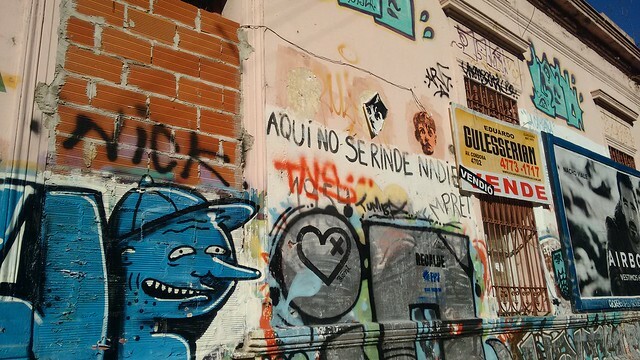 While I didn’t come across quite as much street art as on previous trips, perhaps because of the route I took, I did appreciate some of the messages in the graffiti, like that in the photo below, which reads “Here no one gives up,” which symbolizes the Argentine spirit of continuing forward. After sufficiently wandering the streets and shops of Palermo, I headed back to a bright cafe I’d passed earlier in the day to enjoy another of my favorite Argentine traditions, that of sitting in a café, enjoying a sweet treat with tea, and reading a book. 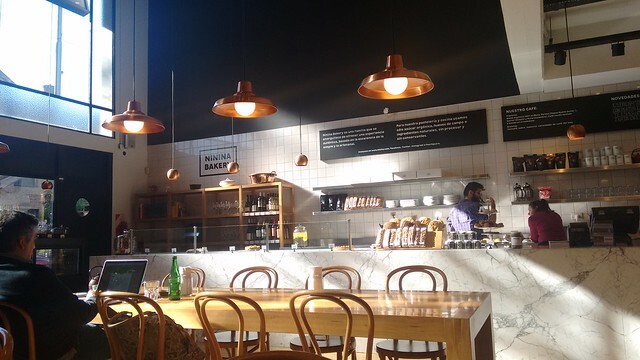 I ended up being super pleased with my decision as Ninina Bakery emphasizes simple, clean ingredients. They even put a bowl of unrefined sugar on your table to sweeten your drink. 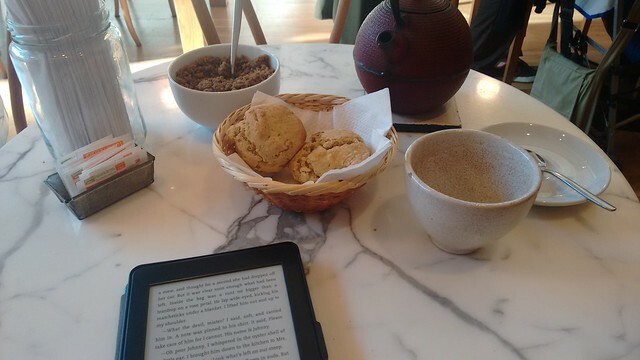 I opted for a pot of chai tea and some ginger pear scones. I really enjoyed my wanderings through my old neighborhoods, Palermo and Recoleta, and checking out new and old businesses. The city still has it. Of course, I have to mention the whole reason I made this trip: to celebrate the wedding of the lovely couple, Alejandra and Diego, two dear friends. This was actually my first ever non-American style wedding so it was interesting to compare the different customs in the ceremony and reception. 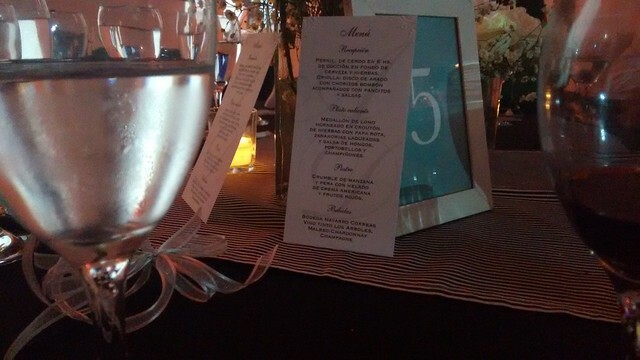 Time for the Wedding Reception! 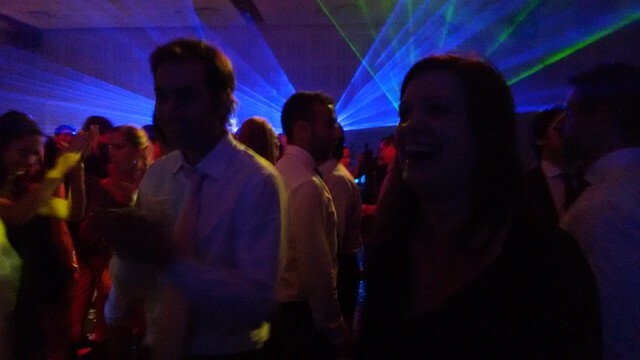 The main difference is that the wedding takes place at night, so the reception starts later and goes until nearly dawn! In order to keep the festive spirit going, there is a moment of “carnaval” where everyone puts on masks, glow bracelets, and necklaces, plays with colorful sabers,and gets covered in confetti! 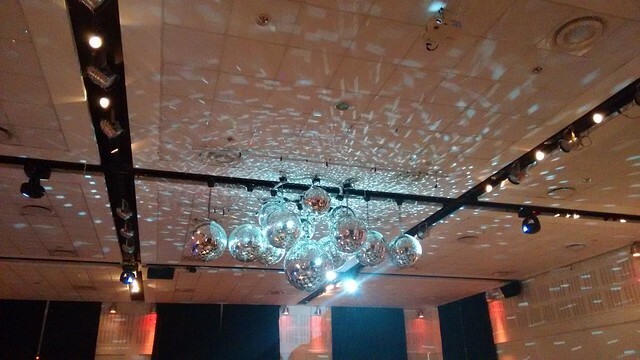 Time to Dance! Hoy se baila! There is also a sweets table late into the party to give people more energy to keep going, and at the end of the night, it is time for some restorative pizza after so much dancing! Because the wedding was in the greater province of Buenos Aires, not in the capital itself, I stayed with a friend of Diego’s, who took me to see the Santuario de Lourdes at Santos Lugares, a site of pilgrimage for many a believer. 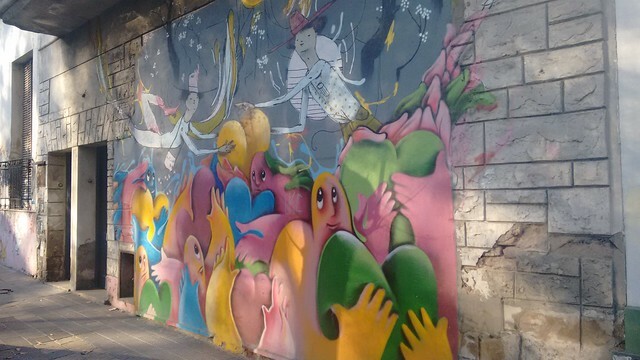 I appreciated the colorful murals outside the sacred grounds and the fancy cathedral. After my trip to Buenos Aires, I realized that the city still pulses with the vital energy that it has always had, and through and through the city is a cultured one. Porteños are always reading, going to the movies, arguing about politics, and checking out art exhibits. My friends claimed that Buenos Aires is more dangerous than it used to be, but thankfully, I have no proof of that and felt just as comfortable as I used to! All things considered, I still love Buenos Aires and could even see myself living there again someday if the opportunity presents itself. Now that I live nearby, I hope to visit more frequently and take in the inspiration of the city and its residents.